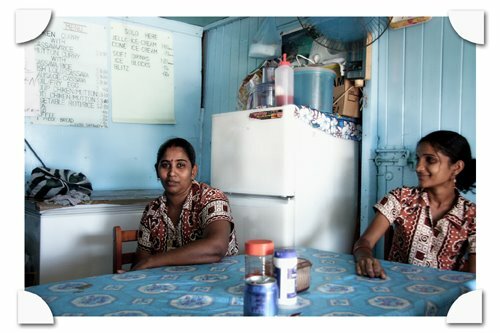 On the left of this picture, is Kamla, the cook at a little Indian fast food kiosk to one side of the market in Savusavu on Fiji's second largest island, Vanua Levu. One night we were heading towards town from our lodgings in a taxi. We were looking for Indian food. We had seen a spot we thought might be good on the tourist stretch, but our driver told us he would take us to a better place for Indian food which is how we came to meet Kamla and her family. Their Kiosk is a tiny, cluttered shack-like building with neon lights. Kamla, who has four children and whose husband, Mahendra, works for the local council, told us she pays $F300 (approx $175) a month to rent the kiosk. In order to make money, Kamla works seven days a week. She starts her day by getting up at 5.30 and doesn't shut shop again until nine, ten or even sometimes ten-thirty at night. 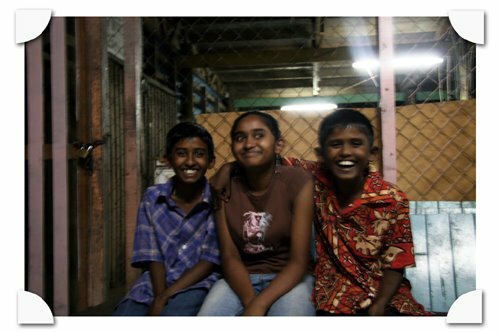 The Prasad family: Three of Kamala and Mahendra's beautiful, happy children. 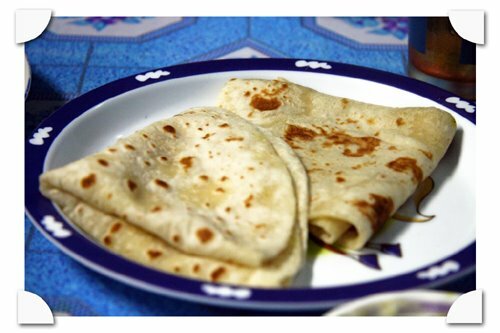 The family eat roti and vegetable curry for breakfast and then pack up the same items to take to school for lunch every day. Although there are about ten items listed on the hand-written menu posted on the back wall, you cannot expect all, or even many of them, to be available. During our visit chicken curry at $F3.50 ($2) was the only choice offered. Kamla told us that this curry is the most popular dish on the menu and that the listed fish in lolo is so unpopular that she doesn't actually make it any more. When you order chicken curry in Fijian Indian restaurant it comes with sides. Rice, dahl, tamarind chutney and bread are all included in the deal. 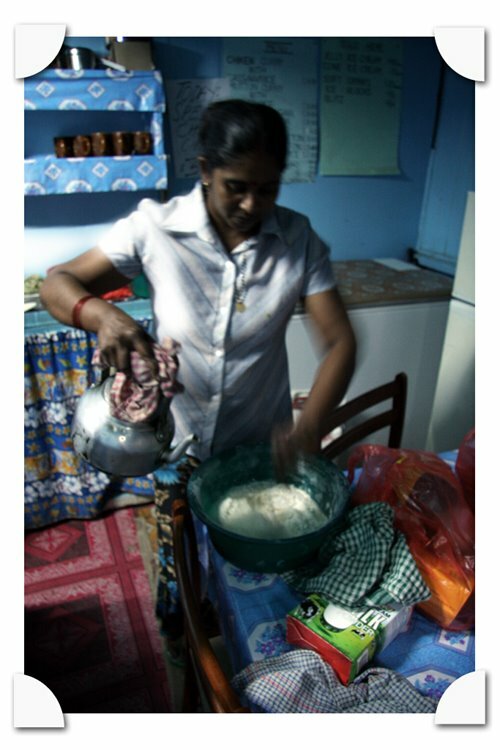 You might have to wait a little while for your meal because Kamla makes up the indian roti breads from scratch. They arrive at the table freshly cooked and piping hot. The meal is eaten with your fingers, without the aid of any cutlery. The excellent bone-in chicken curry is hot with a spicy kick. The dahl is milder in contrast. By the time you have finished the meal your finger nails are stained yellow from the tumeric spices. I truly enjoyed my Fijian experience, but it has to be said that Fiji is not a country that has an abundance of good produce at its fingertips and because of that it is not a cuisine you find yourself particularly yearning for. After returning home, there seemed no reason why I would go out of my way to try and find Fijian food in California, for example. But when I had the opportunity, recently, to sample Fijian Cuisine at Curry Corner in Hayward, I found myself wondering what it might be like. 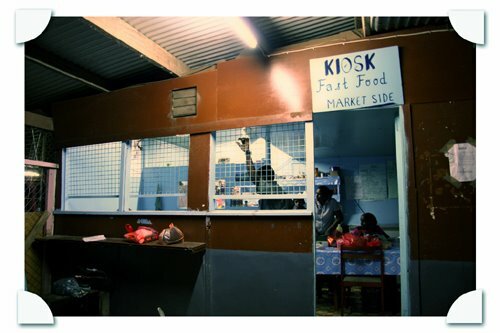 There are similarities between Curry Corner and the Kiosk in Fiji, both of them a one woman show and each location small and cramped with only one table at which guests can eat. 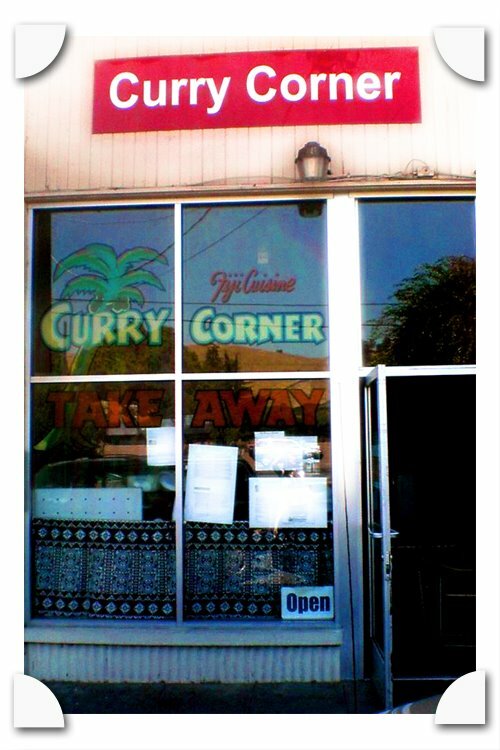 What sets Curry Corner apart from its Fijian couterparts is that the standard of produce available here in California beats anything available in Fiji hands down and because the owner Saras Rao shops at local markets regularly, you can be sure she is only using the best, freshest ingredients available. On my visit we ate in (most customers take the food away in large containers). Rao brought us plate after plate of lamb curry, spicy, fried, soft, succulent fish bursting with flavour from its exotic coating, beans, vegetable dhal and chutneys to share. Everything was unusually delicious. I can't recommend this place enough, especially if you have a keen appetite. The bargain price for a huge meal is just $7.50 per person. And, just like in Fiji, you have to be patient and wait whilst Rao makes up some of those roti from scratch. Rumours are that Rao may have to pack up and move on soon, so be sure to try it whilst you still have the chance. Call first to make sure she is open. Sam, there's a huge Fijian Indian population, and I've always been curious about their cuisine. I love the pictures of the family! When I think of Fiji, I think of an exotic place positively bursting with fresh fruits and veggies. I guess that's just a fantasy... funny how we have perceptions that are totally not true. And how lucky we are to live in California! Beautiful post, Sam. Looks like you could be a writer and photographer for Saveur, everything is so vibrant and beautiful. Just like the food at Curry Corner. Loved the post and it almost made want to go to Hayward. Jennifer: Fiji is a beautiful place. It's funny how you said that you think of Fiji being exotic, filled with fresh fruits and veggies. Hello- it is... Also I am going to take a wild guess, but you havent been there right? That was only one little shack in Fiji that they interviewed. That shack in Fiji doesnt represent the nation of Fiji. By the way I am a Californian too that travels alot. Been to Fiji twice already and ate all the freshest fruits and veggies. Just like everywhere else fresh fruit and veggies depends on the season. Wow please tell me you don't have a PHD or a Masters in College. Just please dont' be so ignorant next time. I thought this article was totally false. To say that fiji does not use fresh ingredients is a laugh as we have some of the best spices and curry powders in the world. To only interview one curry shack and out in the islands why didn't you interview the curry houses in Suva, Lautoka or Nadi? 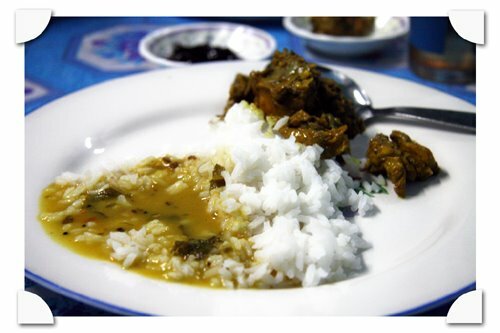 There are no curry shacks in this area and this cities but curry restaurants that will leave you yearning for more of Fiji Curries! Fiji has alot of fresh grown produce i am just sorry that you did not open your eyes to see them! Anon - perhaps you should go back and ACTUALLY READ the article. At no point whilst writing about the Fijian restaurant did I say the food not was fresh. To the contrary, I noted "You might have to wait a little while for your meal because Kamla makes up the indian roti breads from scratch." I don't think you can get fresher than that, so I don't clearly understand your problem. I went on to add "They arrive at the table freshly cooked and piping hot." See, I said the food was freshly cooked and then you come back at me with a hot-headed comment claiming that I am suggesting the Fijian food is not fresh. Neither did I say at any point that I didnt like the curry shack in Fiji - I loved it, in fact. Perhaps you are upset about this sentence "Fiji is not a country that has an abundance of good produce at its fingertips". In my experience (and yes, actually I did travel all over the country visiting several islands and looking for the best food wherever I went) this statement remains true. The number of ingredients available are limited. I found out from several of the places that I stayed at that fresh fruits have to be imported from Australia. Even at the local markets, the fish was frozen, not fresh. California, by contrast, is a state that does have an ABUNDANCE of fresh produce. Fiji has fresh produce too, of course, I am not denying that, and in fact I have written about the markets in other articles, but the Fijian produce is more limited in range and choice. Just came back from FIJI. Was there for 3 weeks. Had great time...especially fresh food. They have the greatest markets. You have to hit the market early 6:00am. Coming from New Mexico, I was amazed how fresh and cheap the local veggies and fruits were. Makes me want to move to Fiji and garden! I was born and raised in Fiji for most of my childhood and I have to say this article gives a false impression of the Island. Fiji is beautiful and abundant with exotic fruits and vegetables. Although I currently live in California I have to say life in Fiji is more appealing at times. Simply beautiful pics--the food, the people, all of it. Thank you for sharing your experience in such a thoughtful way. "The number of ingredients available are limited. I found out from several of the places that I stayed at that fresh fruits have to be imported from Australia." Please bear in mind that Fiji is a tropical country, of course a good handful of fruits will have to be imported from Australia and NZ, especially fruits that grow in colder climates, common examples are apples and pears. I am not trying to flame you or anything, but just a word of advise, please do some thorough research on your material instead of generalizing based on limited observations. There are many places in Fiji that you can go to, to eat proper Indian cuisine as well as Fijian delights... You just have to research and know what it is you are actually looking for. There are many many great curry houses. It's such a pity Sam that you didn't really get to experience that...these people are so poor they would give you anything....that to me is one of the real beauties of Fiji!!! you will not find that in many places in the world, and to say how lucky you are to live in California Jennifer I don't think so.... sorry sad but true, Australia is by far the luckier country!!!! Dear Anonymous - as you might expect of someone me I did do a lot research. The information is just not easily available. The guide books are out of date fast. (We tried to go to what was allegedly one of the best indian not tourisy) restaurants in Nadi but it was already closed down). Information on the internet is few and far between. Maybe there is more now but there was les on our first visit nearly 3 years ago. Also - if you read the first part of the piece I think you will find it is indeed about a great curry house where the people indeed were so poor. But they treated us like kings. You can't deny, either, that CA is lucky in terms of its produce which is second to none. I have been to Australia and agree it is has fantastic produce to. I am not sure how accurate it is to say that produce-wise, that one of these two countries is luckier than the other. Certainly both are prbably luckier than many places in the world in that respect. Gorgeous detailed pictures and well-written article! As someone of Fijian-Indian descent I can assure you that some of the fruits and veggies grown in Fiji simply cannot be had in the U.S. You may have gone during the season where it's not the busiest agricultural time of the year and also climate change has been affecting crops. For someone chancing on your lovely blog and looking for tips on what to try whilst in Fiji, I can recommend their legumes, especially the shelled beans, and clams. The fish there is very lovely as well. Also the ice cream is the tastiest, nothing in the U.S. even organic ice creams compare to it. Also if at the roadside diners be sure to try the homemade pickles they offer with the meals while spicy they are also tasty. For fruits I recommend the fresh young coconuts, papayas and the custard apples are particularly nice. Also I know from my family that some of the food products that are trendy in the West aren't really liked or tried in Fiji such as avocados even though Fiji grows these most are for tourists as locals don't like it. Happy travels, cute blog. Out of the way shacks where locals eat is the best way to experience a culture's food, good on you for eating at a shack versus a touristy version of what Fijian-Indian food. My Boyfriend is born and raised in fiji 18 years and he will not even eat a tomato from here because its just not the same no falovr he say. or fruits here and made to grow with all these cemicals and thing there they grow freash nothing to boost them i think you blog is way wrong.